Woody’s Den opened in September 2011 and provides quality childcare in a safe and secure environment. Woody’s Den is run by Woodlands Pre-school’s highly dedicated management team. 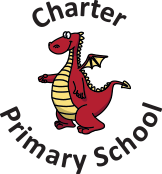 Woodlands Pre-school moved to Charter Primary School in September 2008, with a new management highly dedicated to providing quality and affordable sessional day care for families in the local area. Woody’s Den is registered with Ofsted, and their outcome was good. We are a member of the Pre-school learning Alliance and have comprehensive insurance with them. Woody’s Den caters for children from 3 1/2 to 11 year olds. We are open Monday to Friday 3.15pm to 5.30pm. Woody’s Den is based in a self contained annexe of Charter School, which has been renovated to very high standards. We have a secure enclosed playground with the opportunity to use the school playgrounds, field and multi-purpose sports area, which we can use for a variety of outdoor activities. We have a range of toys and equipment including an XBox 360 for the children to use during their time here. Children will be provided with tea whilst at Woody’s Den for a small additional charge. At Woody’s Den we believe in providing happy, caring and safe surroundings where your child can play and thrive in a friendly and constructive environment. The manager of Woodys Den is qualified at N.V.Q Level 4, and all other members of staff are qualified to N.V.Q Level 2 or higher. All staff are First Aid trained and are DBS checked. We ensure all staff attend regular in service training with recognised bodies to extend knowledge and experience. Please feel free to come and discuss your child’s needs. Please contact Sarah, Sue or Michelle at Woodlands Pre-school for further information.